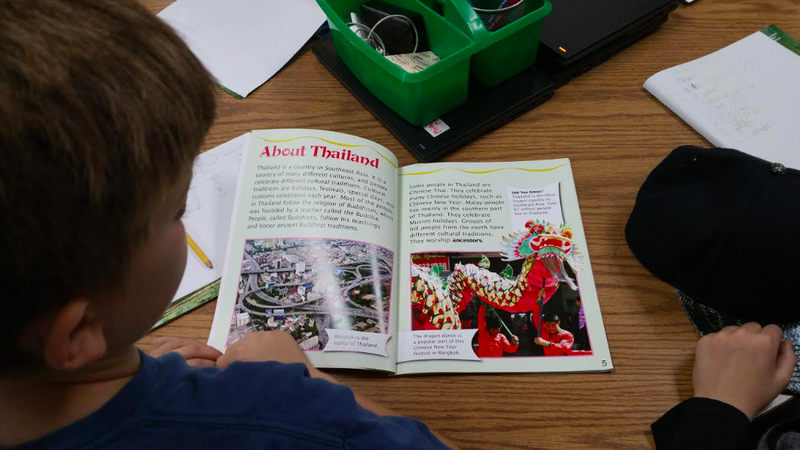 Mrs. Yollis' Classroom Blog: What Are Text Features? My favorite text features are headings and subheadings because I have not seen all of the other text features yet. I did see an index and a table of contents. I like headings and subheadings because it tells you about the pictures. I learned that a red-eared slider turtle can have two heads and four eyes. It can move its heads independently. The text feature I used was the subheading. Have you ever seen a two-headed animal? My favorite text feature is the glossary because if you do not know a word in the book you are reading, you can look at the glossary and it will tell you the definition. My second favorite text feature is the timeline. The timeline tells you the date important events happened. I have never seen a two-headed animal but if I find one, it will probably be interesting. Did you like the video? What did you like about it? Its amazing what you can learn from just text features. I learned a lot about land rovers by just looking at the headings, captions, and diagrams. By only reading the headings I learned that a rover called the Curiosity has a twin! From a caption I learned that the Curiosity and its twin have lasers that can heat up rock for experiments. Finally I learned from a diagram that in order to land some rovers use parachutes. I echo your thoughts about text features. You can learn a bushel load of information from the text features! I'm a greenhorn about rovers. What in tarnation are they? Lasers? Parchutes? Please give me more factual information! One of my favorite text feature is map. 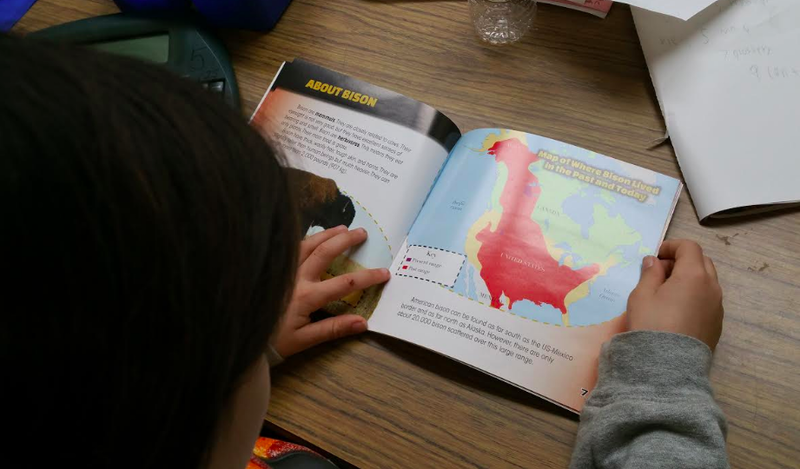 From a book called Volcanos I learned that Mount St. Helens has an active volcano! My second text feature is the glossary. From the same book, Volcanos I learned that vent means: any opening in Earths surface where volcanoes materials come out. You've got a humdinger of a comment here! I like the way you separated them there paragraphs. Makes it real easy for a tired ol' cowgirl to see! I love the glossary too! Why, I learned a bit about rovers from Micah, but I could sure use a glossary to learn about something called a laser that he mentioned. You ever heard of 'em? I recently read a book called Everything Dogs. The two text features that I picked are "headings" and "photos." Headings are hints of what the page is talking about. Photos help me see what the words are saying. My hats off to you for gettin' your comment in on day 1. That's the kind of hard work Sheriff Y♥llis really admires. However, currently I can not say you have a bullseye. You named two text features, but you forgot to tell us here what you learned from the text feature. Give it another pass, cowgirl! You'll hit that bullseye! I'm having a humdinger of a time listing to your text feature video. My my I believe I have some text features in mind that helped me learn in the book Amazing Animal Journeys. The index helped me find the word red crabs on the pages 4,5,18-28,and 42 the index is is very useful. Also the diagram helps, it tells me parts of things like the red crab that the gills and lungs are wear the cheeks are and hears a fun fact about them : Adult crabs cannot breathe under water. I forgot about the glossary well the Glossary helps because it tells me words I mite not know like larvae it means animal's wormlike form that hatches from an egg. from the book your reading. I learned about diagrams in the book Everything Dogs.I learned about the dog family tree. Did you know that dogs come from wolves? I also saw a chart called decoding dogs. Since dogs do not speak English, the chart told me how you can tell how the dog is feeling. For example, when a dog is scared she will put her ears back. I think diagrams and charts are extremely helpful. What I learned from a caption is that euphorbia cactuses in the Namib Desert of Africa do not need any food, instead they make it on their own using energy from the suns rays. Recently I read a book called Surprising Swimmers. 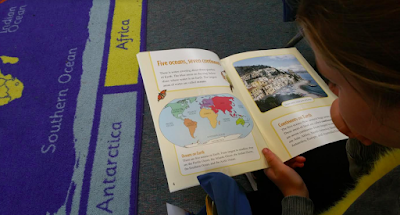 There were some text features in the book like map, caption and glossary. From the map, I learned that the Bahamas are a group of islands in the Carribian Sea. From the caption of a picture of a tiger, the caption was, the mass of a tiger can be up to five-hundred pounds! Wow. tigers can be huge! Finally, the glossary. Did you know that an amphibian is a cold-blooded animal that lives in water and breathes with gills when young? I didn't. The first text feature I saw is a map. I learned that monkeys used to live Africa and Asia but now monkeys live in South America and Mexico. The second text feature is a glossary. I learned a word called a canopy in the glossary.A canopy is the area high up in the trees. I just read the book called Elephants. My text features are from a diagram and a glossary. I learned from the diagram that Tusks are to get a tasty meal. I learned from the glossary that a baby elephant it called a calf. I learned a lot of information from the book called Into The Unknown . My favorite text features are maps. I learned from the map that people sailed around the world in 1519-1522. Isn't that just crazy! Next, I learned from an illustration. I discovered that this group of ships went on their first treasure fleet and it told me how many different kinds of ships. There were 62 nine-masted baochuan treasure ships, 47 eight-masted horse ships, 48 seven-masted supply vessels, 60 six-masted troop ships,carrying about 300 soldiers, 40 five-masted cannon carrying warships known s fuchun , 40 patrol boats, 20 water tankers,and Zhang He's flagship. That is crazy right! That is a heck load of ships! Finally we have our old friend Diagram I learned that they have ports cannons, overhanging decks, and a lot more! There is a lot you can learn just by looking at text features. I learned three things by looking at text features inside of Map Keys. The first thing I learned was what each symbol meant on a map. I learned it from a diagram. For example, a blue oval would represent a pool. Second I learned where all of the symbols went on the map by looking at the map and identifying the symbols. Last but not least, I learned from a heading what I would learn in the chapter. 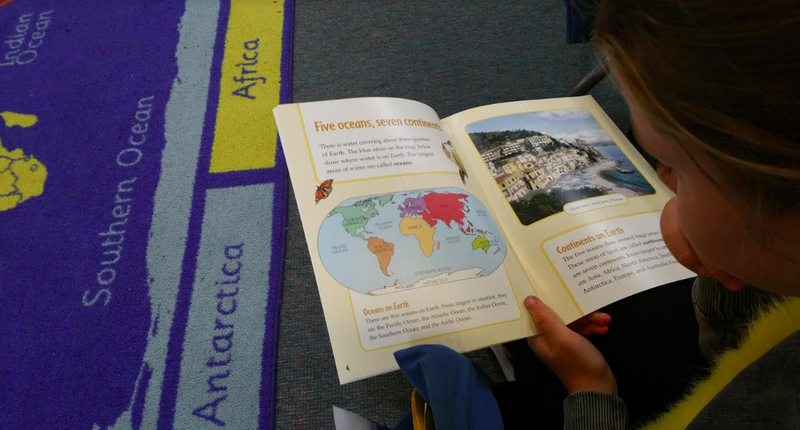 Since the heading was Pictures and Shapes I could tell that the chapter would tell me what shapes meant on a map. Reading is very fun and helps us learn! But every non-fiction book needs a text feature! Today I was reading a book called Lizards! I saw a diagram and a introduction! I learned that lizards come in all different shapes and sizes and that they only live in warm weather because they hate cold weather! My favorite lizard is a Komodo dragon! Whats your favorite type of lizard? If you don't like lizards what your favorite reptile? 13.7000,000,000 ( 13.7 billion ) years ago! What do you know about space? I recently read a book called Galaxies. The two text features that I like are a glossary and a diagram. From the glossary, I learned that when a supernova happens, a star explodes, and its remains may create a smaller group of stars called a nebula. From the diagram, I learned that normally a few galaxies are grouped together by two things, clusters, and super-clusters. I sure learned a lot about galaxies by just looking at the text features! I read a book called "Disaster Zone Tsunamis", which I learned a lot from. One of the text features was Table of Contents. The table of contents in this book has three chapters, it also lists activities and tools. I've already learned that the book tells about how tsunamis form just from the table of contents. Another text feature that I learned from is the Diagram. Wow, the diagram is very interesting! In this book the diagram shows how tsunamis form. When the earth shifts and pushes the water towards the surface, a tsunamis form. Finally, I learned from a photo, another text feature. The photo showed two gigantic ships washed up on a city. It showed a lot of damage and a deep flood. Just from this picture, I can tell that tsunamis are very destructive. You can learn a lot from just text features! I read a book called Rocks and Minerals. The three text features I used were the diagram, subheading, and glossary. From the diagram I learned that rocks settle on the ocean bed and that those rocks are melted into magma. The subheading I used was Granite and Quartz. Now I know those are either rocks or minerals. The third text feature I used was the glossary. I did not know what strata meant but now I know it means layers of rocks. I just read the book called Elephants. My text features are from a diagram, a glossary, and sub headings. I learned from the diagram that Tusks are to get a tasty meal. The elephants use their tusks to stab the item they are going to eat. Next, I learned from the glossary that a baby elephant is called a calf. I also learned that livestock are animals that are raised to sell or use. Finally, one page had a sub heading called Water Heroes. I knew I was going to learn who the heroes were just by the heading. I learned a lot just by looking at the text features. From the map, I learned that the Bahamas are a group of islands in the Caribbean Sea. 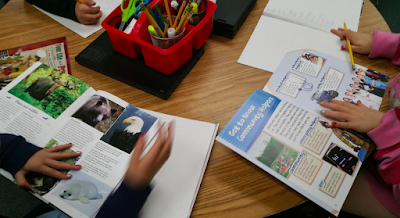 I learned about two things in my books, the glossary and table of contents. First, the glossary the glossary teaches you the definitions of words you didn't know the definitions of. last but definitely not least table of contents,the table of contents shows you how many chapters and the names of the chapters. I'm having a humdinger of a time listening to your text feature video. My, my, I believe I have some text features in mind that helped me learn in the book Amazing Animal Journeys. The index helped me find the word red crabs on the pages 4,5,18-28,and 42. The index is is very useful. I forgot about the glossary well the glossary helps because it tells me words I might not know like larvae it means animal's wormlike form that hatches from an egg. I learned a lot from the book called Nigeria. One text fetcher that i learned from was the caption I learned that camels get leafs off trees. Also,I learned from the glossary that a gulf is a cut out off land where water flows in. You can learn a lot by just looking at text features. 13.7000,000,000 (13.7 billion) years ago! I also learned from a timeline that 300,000,000 years after the Big Bang, small galaxies started to form. 6,000,000,000 years later small galaxies bonded to create larger galaxies. From a diagram I learned that the stars, gas, and dust can be puled into a black hole. Finally from a subheading I learned that nothing known in the universe can escape a black hole, not even light which travels at 186,500 miles per second! that makes the black hole invisible to see. My favorite text feature is the heading because in the book I borrowed from Shane One heading said End Blocks And Items And Their Uses so I know That it will tell me about blocks in the end and their uses. My second favorite text feature is the subheading because in the book, the subheading tells you about the things in the end and what they do. You can learn a lot from text features! I read a book called Snakes! the two text features I liked were a diagram and a picture. don't shed on there own they need to rub there head on a rock then it will shed. I didn't know that you can learn so much from text features. I learned a lot from a book called Lizards. I learned from the table of contents that lizards are reptiles. Also I learned that some lizards don't have legs! Another text features I learned from was the glossary I learned that a predator is an animal that kill its pray for food.